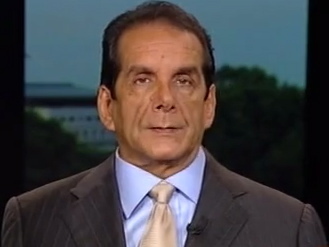 CHARLES KRAUTHAMMER: Cynicism is always the right assumption when dealing with this administration. I think Senator Barrasso is exactly right. The dates aren't accidental. And I would say, Juan, that the one person who called it that train wreck, Obamacare, was not a Republican. He was the Democratic Senator head of the Budget Committee, Max Baucus, who knows of which he speaks. Look, in the end the bill is a massive transfer of wealth from the young to the old. Rush Limbaugh Talks Egypt, Obamacare & 2014 On "FOX & Friends"